Vad heter de moln som planen lägger ut...? "NASA rapporterade för 5 år sedan att jorden nu tar emot 20% mindre solljus än 10 år tidigare. Efter 16 år av förnekelse, medger Vita huset vetenskapsexpert John P Holdren nu att de har "testmanipulerat" jordens atmosfär med Bariumsalter Aluminium oxid och andra giftiga ämnen tillsatt i flygbränslet. Dags att vi ifrågasätter vad som sprejas över våra huvuden varje dag via flygplanen". Extraordinary interview with G. Edward Griffin at the premiere of his documentary "What in the World are They Spraying". The distinguished Mr. Griffin, author of the conspiracy blockbuster "The Creature from Jekyll Island", which exposed the sinister creation of the Federal Reserve, now has upgraded his talents to include documentary film production. He expounds on the evidence of chemtrails and reasons why we're being sprayed and what we can do about it. This proves the existence of chemtrails for the non-believer, and it explains for the conspiracy experts out there how the elite expect to get away with this. 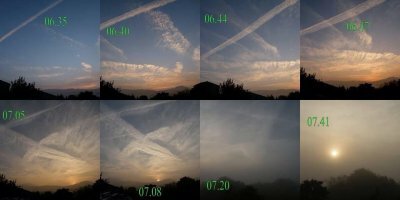 ""The modern concept of geoengineering (or climate engineering) proposes to deliberately manipulate a planet's climate, typically the Earth's, to counteract the effects of global warming from greenhouse gas emissions. Other uses of the word sometimes occur, meaning geotechnical engineering."" Michael Murphy, Co Producer of the new film, "What in the World are They Spraying?," joins Gary Franchi at RTR studios to educate us about chemtrails. Rosalind Peterson of California Skywatch was a certified U.S.D.A. Farm Service Agency Crop Loss Adjustor working in more than ten counties throughout California. She now spearheads a watchdog group that monitors uncontrolled experimental weather modification programs, atmospheric heating and testing programs, and ocean and atmospheric experimental geoengineering programs Peterson is at the forefront of the chemtrail research field and how the unexplained patterns that scar our skies are "causing detrimental human health effects and environmental degradation." Peterson shows a map provided by the FAA which reveals how "intra-flights" - mainly of military origin - are causing the chemtrails by flying in loops around counties in flight paths that differ substantially from normal airline trajectories. The flights have no other obvious purpose than to disperse chemtrails because they have no fixed destination, they merely fly around and around in circles. 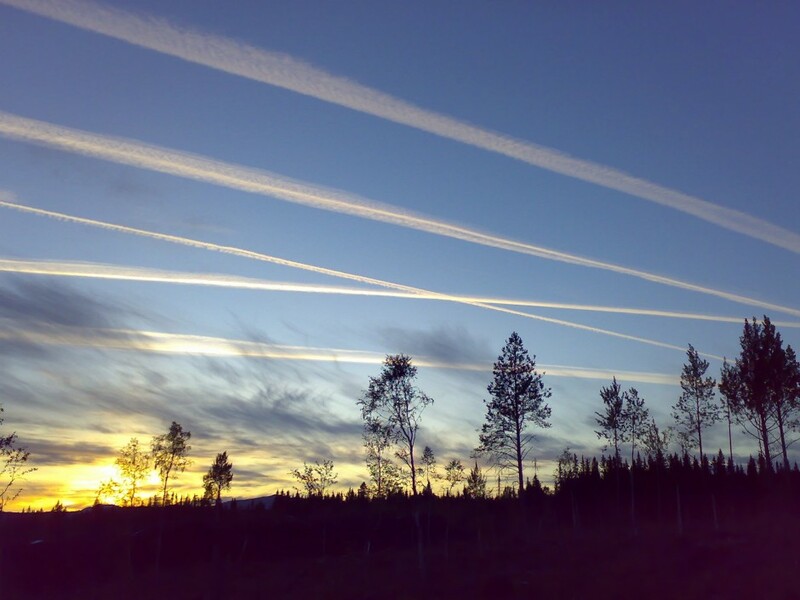 As proponents of geoengineering like Obama's science czar John P. Holdren have proposed, blocking sunlight is a primary effect of chemtrailing, and sulphur could be one of the chemicals being dispersed by these trails. As Peterson explains, sulphur has been linked with a host of health problems, which is why California removed it from diesel fuel in the first place. "Rosalind Peterson offers insight and commentary on the compelling issues surrounding our health, agriculture, climate change, geoengineering, experimental weather modification and more. It is our hope that you will find this collection of views and opinions interesting, informative and worthwhile. Ultimately, we hope that you become inspired to act. Enjoy!" I en åtgärd som tyder på att FN och de rika länder är desperata över att nå enighet under de kommande klimatförhandlingarna, kommer amerikanska, brittiska och andra västerländska forskare att beskriva en rad idéer för att manipulera världens klimat för att minska koldioxidutsläppen. Och de accepterar risken att även om idéerna teoretiskt sätt skulle kunna fungera, skullle de lika gärna kunna få oavsiktliga och till och med oåterkalleliga konsekvenser. * sprängning av sulfat-aerosoler i stratosfären för att reflektera solljuset tillbaka ut i rymden; * deponering av stora mängder järnfilspån i haven; * manipulering av grödor genom bioteknik i syfte ge dem en ljusare färg för att reflektera solljus, och * att hålla nere mängden cirrusmoln. President Obamas top science and technology advisor John P. Holdren co-authored a 1977 book in which he advocated the formation of a planetary regime that would use a global police force to enforce totalitarian measures of population control, including forced abortions, mass sterilization programs conducted via the food and water supply, as well as mandatory bodily implants that would prevent couples from having children. The concepts outlined in Holdrens 1977 book Ecoscience, which he co-authored with close colleagues Paul Ehrlich and Anne Ehrlich, were so shocking that a February 2009 Front Page Magazine story on the subject was largely dismissed as being outlandish because people couldnt bring themselves to believe that it could be true. It was only when another Internet blog obtained the book and posted screenshots that the awful truth about what Holdren had actually committed to paper actually began to sink in. This issue is more prescient than ever because Holdren and his colleagues are now at the forefront of efforts to combat climate change through similarly insane programs focused around geoengineering the planet. 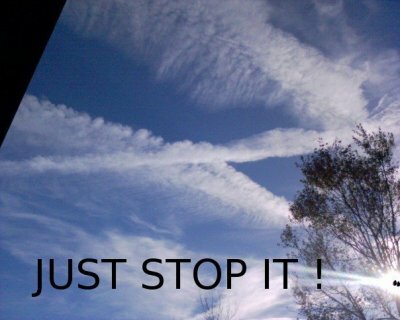 As we reported in April, Holdren recently advocated Large-scale geoengineering projects designed to cool the Earth, such as shooting pollution particles into the upper atmosphere to reflect the suns rays, which many have pointed out is already occurring via chemtrails. Ecoscience discusses a number of ways in which the global population could be reduced to combat what the authors see as mankinds greatest threat overpopulation. In each case, the proposals are couched in sober academic rhetoric, but the horrifying foundation of what Holdren and his co-authors are advocating is clear. These proposals include; - Forcibly and unknowingly sterilizing the entire population by adding infertility drugs to the nations water and food supply.